Lately The Animal’s been playing his Xbox a little too much, and I figured a little father-and-son time might be in order. 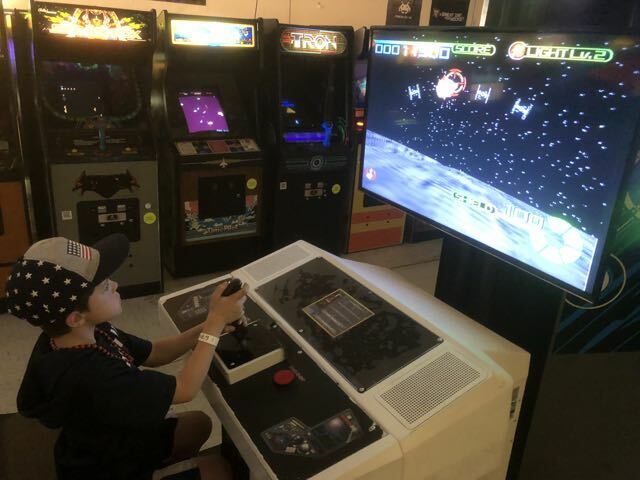 So the other day after school we jumped in the car and headed to…the arcade! 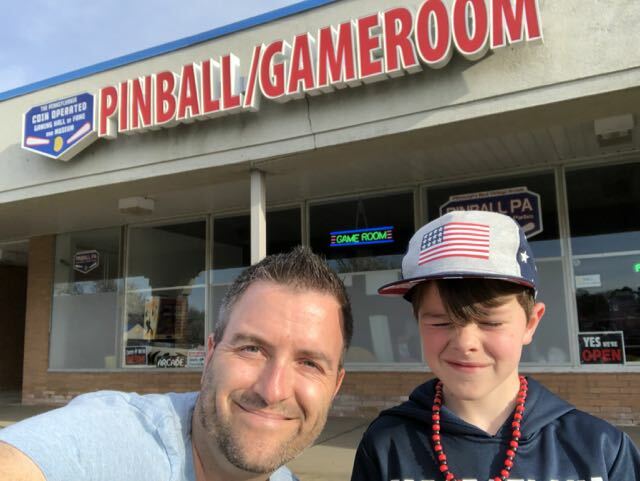 To be specific, we went to Pinball PA in Hopewell. I’ve been wanting to check out this place for a while now and, let me tell you, it’s awesome. 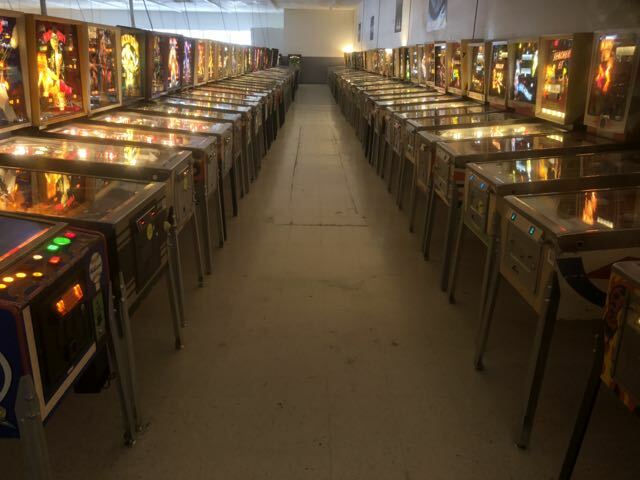 We’re talkin’ over 400 vintage pinball and arcade games to choose from! Twenty bucks buys you two full hours of vintage-video-game bliss. After that he made a beeline to the shoot-a-bunch-of-bloodthirsty-zombies-before-they-eat-you-for-dinner game. Actually, we both played that one together. After all, nothing says father-son bonding like teaming up to vanquish the undead. We played that particular game so long that after a while our index fingers were cramping. Who says you can’t get a workout from video games? When I was a kid, my favorite arcade was upstreet at the old Stop-N-Go. My friend Donnie and I used to go up there to kill time before school after serving as altar boys at the early Mass. The coolest video game they had was a commando-esque game called Ikari Warriors. If you’ve never had the pleasure, imagine Rambo, just with really terrible graphics. But, hey, back then it was state-of-the-art. We loved it. Years later, when I was in college, they had this cool little arcade in the student union. Between classes I’d go in and play Pole Position—Atari’s incredibly popular Formula One racing game. I even held the high score for a while. That is, until all the power went out during a storm one day and forever erased my hared-earned record. Tragic, right? Pinball PA has Ikari Warriors! And Pole Position! And about a gazillion other games I remember from my childhood. (No strip poker, unfortunately.) 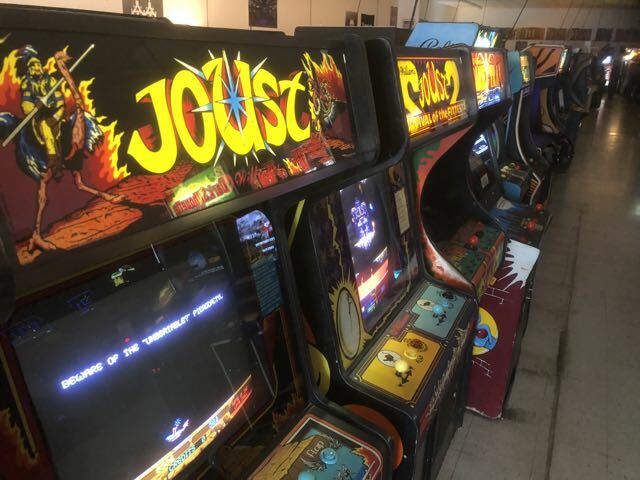 And if you always fancied yourself a pinball wizard, they’ve got enough machines there to keep your wrists sufficiently supple for days on end. I figured two hours at the arcade would feel like forever, but honestly the time flew by as my son and I bounced from game to game—me reliving my childhood, he still working on his. It was a blast. One Response to "Vintage Gaming with The Animal"